Home > Want/Just got, a pet rat? Read this! Want/Just got, a pet rat? Read this! Okay, I'll be the first to admit I knew nothing about taking care of a pet rat when I first got George (My adorable fur-baby pictured in this review). I wanted a pet, and knowing my mother hated rodents, I thought it would be funny to get one. Plus, George was adorable and was begging me to take her home so she wouldn't become snake food at the pet store. Bedding When I first got George, who is a girl, despite her name, I bought wooden chips/shavings. I was on a budget and didn't think there was a big difference between paper and wooden bedding, but I was wrong! The first week George lived in her cage, I thought she had a cold because she wouldn't stop sneezing! Poor thing couldn't tell me the wooden shavings were making it hard for her to breath, but I did a little research and found out wooden shavings are not good for rodent type animals, or any animals, for that matter. They can cause cancer and for your pet's breathing to become labored. After I did research to find out why she was sneezing, I changed her bedding to Critter Care, all-natural paper bedding. Not only did it stop her sneezing, but it's orderless and makes sure her cage isn't smelly. It's more expensive, but rats already have short lives, so take comfort in knowing you're giving your fur baby the right living environment to live a long and healthy life. Tip for cleaning bedding/cage: Dispose of bedding weekly and clean cage with vinegar and lemon mixture before putting clean bedding in. Keeps the cage smelling great and keeps bugs away. Companionship Believe it or not, rats are very sociable and sweet pets. Fun fact: female rats are much more hyper than male rats and if you want a calm rat, that will relax on the sofa and watch Netflix with you, I recommend you get a male rat over a female. 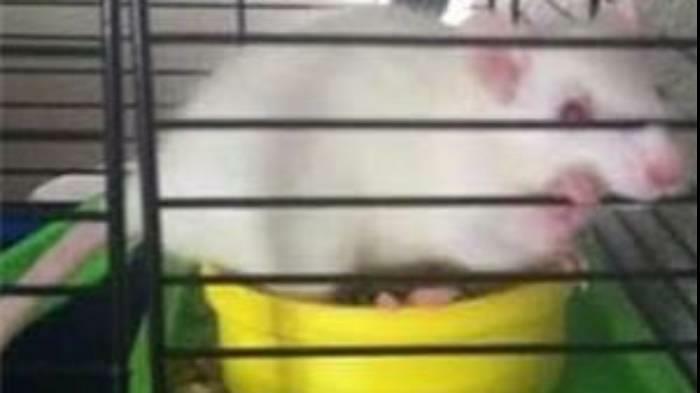 If you're looking for a good pet for your child (Ages: 7+) Rats are the perfect pet! They are lovable, easy to clean up after, are trainable, and are loyal. To insure your rat is safe enough for a child, make sure you get your rat when it's either a baby, or a couple of months old. That way, they know you and bond with you while they're still little. Also, never get only one rat! Once I found out that rats are sociable and needed companionship, I got another rat, another girl, and they are very happy together! Rats love cuddling, playing, and sleeping with other rats, so try getting rats in the same litter, so they're familiar with each other. NEVER get two different rats from different litters and leave them alone. Make sure you supervise them as they get to know each other because things can go wrong fast. Food My George is a very picky eater, plus, many of the rat food in stores (Even pet stores) aren't good for your pet. Make sure always to check the food labels on your rat's foods and don't get foods with whole corns kernels in them. It's hard for rats to digest and is not good for them! Like the bedding, the expensive food is usually the better choice for your rat, and chances are they will eat all of it, rather than pick apart the parts they like, like my George did. It's more expensive, but since they eat more of it, you're actually saving money. They love veggies, low in fat cereal, fruit, and pasta as a treat. Look up a list of things they can't eat, which is a small list. I hope my review has been helpful and informative. I love having pet rats and I recommend them over any other pet to everyone. They are cute, loyal, and a lot of fun to have!